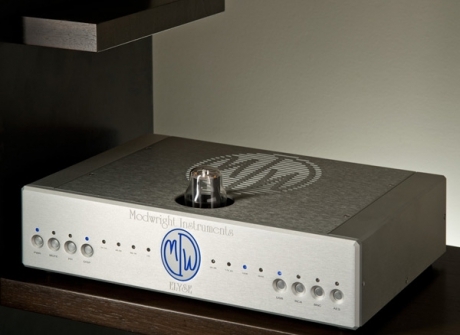 "The Elyse DAC is ModWright’s expression of modern digital technology in harmony with Elegance, Simplicity, and Truth of vacuum tube analog design. 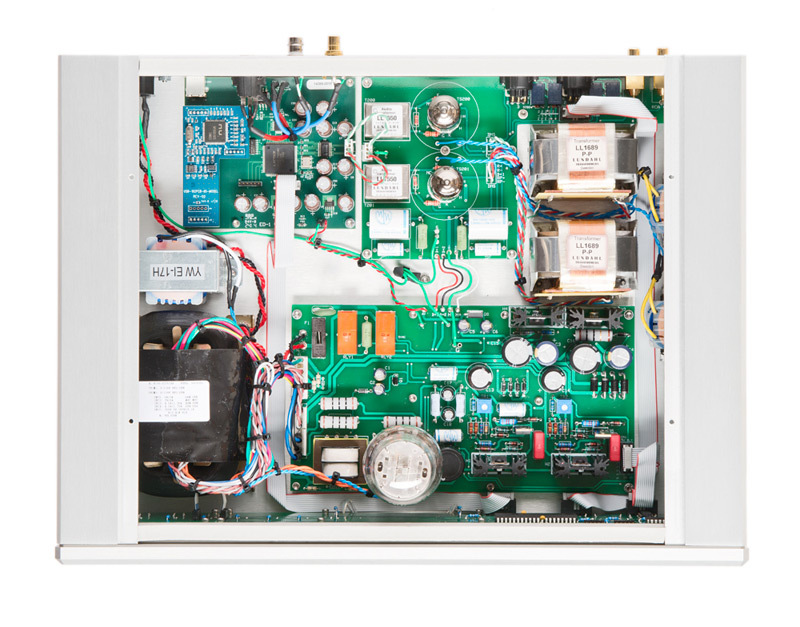 The heart of the Elyse tube DAC features the Burr Brown PCM1794 DAC chip. It is capable of accepting data rates up to 24/192. Inputs include RCA and BNC (SPDIF), XLR (AES/EBU) and USB(up to 24/192 fully asynchronous. All data and clock buffering are handled by a proprietary FLGA based data algorithm by Alex Dondysh, insuring the lowest possible jitter levels. The power supply uses tube rectification and dual-discrete solid state voltage regulation for high voltage tube supplies. Separate analog and digital voltage regulation is also used for tube filaments, DAC, clock and analog voltages. Power supply decoupling caps are MWI custom oil-impregnated poly types. The analog stage is 6922 tube based, pure Class A, Lundahl transformer input and output coupled, with zero feedback and no capacitors in the signal path." Elyse har en veil. pris på kr. 69.000, men vi kjører ut de første enhetene for kr. 55.000 (gjelder kun de første 3 stk). Litt mer utfyllende info finnes i denne linken. Her kan du stille oss spørsmål angående Modwright Elyse er nå leveringsklar. Vi skal forsøke å svare deg innen 24 timer.